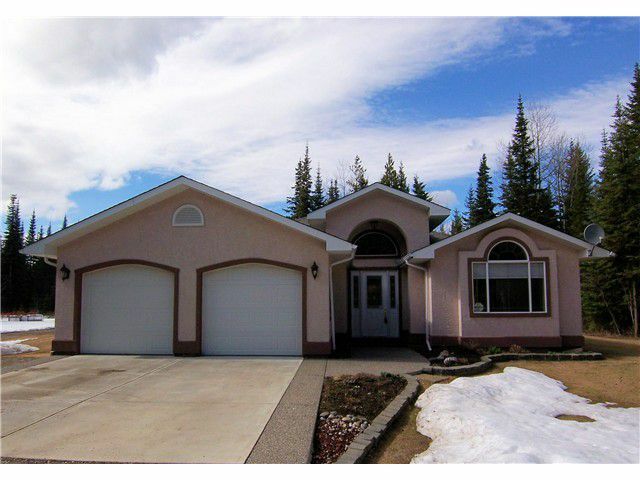 This elegant true rancher flaunts soaring vaulted ceilings over entranceway and sunk-in great room, in floor radiant heat throughout, and a huge 27x40 detached shop with 16' walls in addition to an oversized attached double garage. Thereis just under 2000 SF on one floor including an enormous custom hardwood kitchen, a beautiful dining and great room with floor to ceiling windows, a brightly lit master suite with walk-in closet and deluxe ensuite with corner aerated tub + separate shower, and 2 more additional bedrooms plus a den. Outside there is a small separate guest house and a huge shop that is perfect for running a business or for someone that has tonnes of toys.